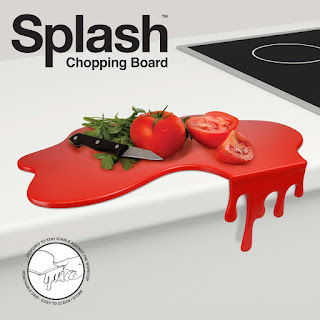 What do you think of this Splash Chopping Board? Cleverly designed to make the chopping board stable against the edge of the kitchen counter! The vertical drip can be easily removed to make a completely flat worktop saver. Might be the perfect gift for Dexter fans!